Based on body weight, the STS exerciser provides a percentage of assistance to transfer from stand to sit and sit to stand. Helps improve patient confidence as goals are attained. 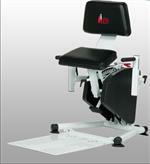 Requires less therapist effort and support as patient performs exercises. Support handles can be utilized to strengthen arm and shoulder muscles. By repositioning the feet during exercises, knee and ankle ROM can be functionally improved. 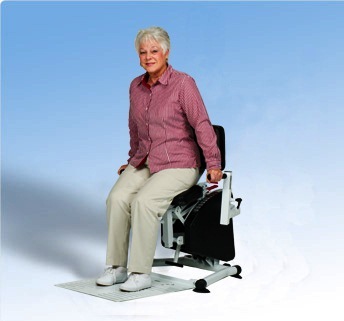 Designed to assist the patient in sitting and standing independently, the Endorphin STS330 is ideal for use in nursing homes, assisted living facilities, therapy clinics and hospitals. Patient stability, range of motion and muscle strength can be improved by utilizing the STS adjustable assistance system. Clinicians can incrementally decrease the closed chain assistance load, based on patient body weight and ability, until the patient can perform the exercise without help. Improvements and progress are easily monitored and documented. In addition, the STS can help prevent clinician back injuries by reducing the need to manually lift and lower patients during sit to stand exercises.